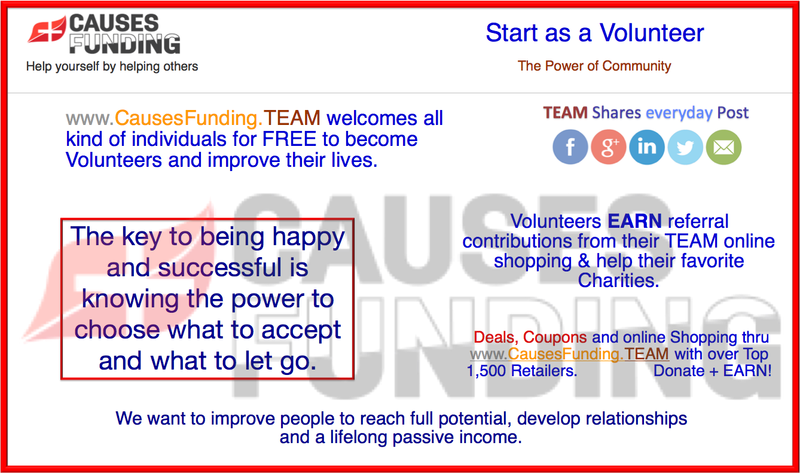 www.CausesFunding.TEAM welcomes all kind of individuals for FREE to become Volunteers and improve their lives. The key to being happy and successful is knowing the power to choose what to accept and what to let go. We want to improve people to reach full potential, develop relationships and a lifelong passive income.